Lift up your mood with these dainty pieces. 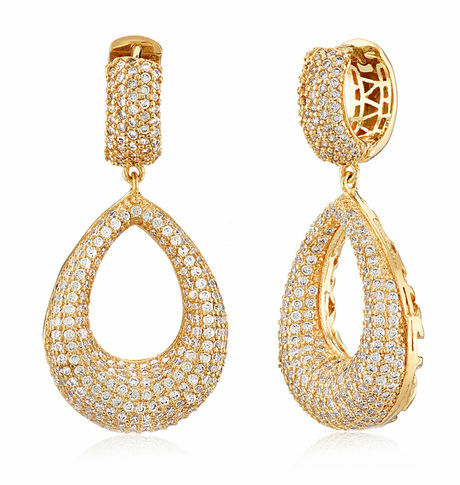 This stunning pair of cubic zirconia studded oval drop earrings is a perfect choice to flaunt with your evening dress. The sizzling earrings blend well with the traditional as well as casual wear Gold finishCancellation and Return Policy: • Exchange allowed post booking • No order cancellation or Refund transaction allowed at the store.